The Motel Life (15) is a heartbreaking tale of brotherhood and the lengths that we will go in order to protect our own. What’s It About? 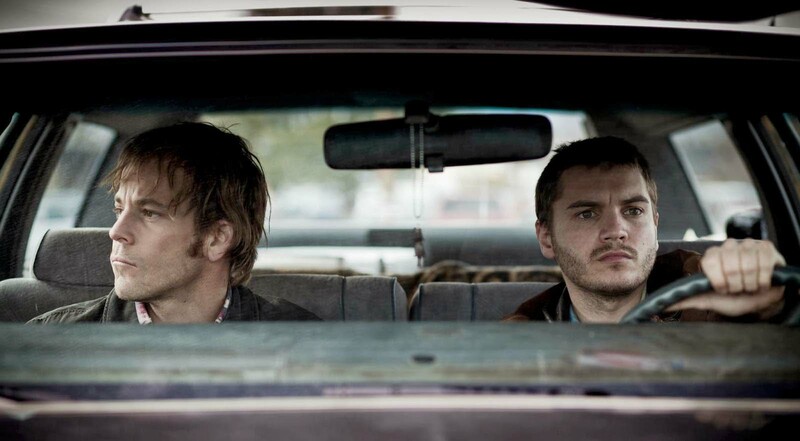 Frank (Emile Hirsch) and Jerry (Stephen Dorff) are working class brothers who have been living a meagre life following the death of their mother. When Jerry accidentally hits and kills a teenager whilst drink-driving he becomes consumed with guilt and shoots himself in the leg, and ends up in hospital. With the police hot on his case, it’s down to Frank to plan their getaway. Verdict: One of the most profound aspects of The Motel Life is the way the grown brothers use stories in order to escape their gritty and damaged lifestyles. Jerry still appears to harbor a child-like innocence and, following an accident that left him with just one leg, he often asks his brother to tell him a story where he is the hero. Directors Alan and Gabe Polsky make use of animation to bring these stories to life on screen, a surprising and heartfelt addition to the film that makes Hirsch’s narration of the story appear even more raw and emotional. These fantasy stories are included from the get-go and automatically present you with the relationship that the brothers have. Although the youngest of the two, it is Frank who shelters Jerry from the world, and when a drunken Jerry stumbles into Frank’s bedroom in the middle of the night and exclaims that they have to flee, Frank does not hesitate – not learning until later on that Jerry had just been involved in a fatal hit-and-run accident. The story heats up once Jerry finds himself in hospital with the police closing in on them. Frank does everything he can to secure money for them to make a getaway, and when Jerry starts to crack from the guilt consuming him, the pair escape the hospital and drive to a motel in another city. The essence of the film is heartbreaking from start to finish; the boy’s love for each other and the dependence they have on one another is emotionally exhausting to watch: the most heartrending scene being when Jerry has to swallow his pride and have his brother help him shower. Although it’s Jerry who is suffering physically it becomes hard not to feel for Frank as the more the film goes on, the more you can see just how much he has been held back by Jerry’s recklessness, and how much he has sacrificed for his brother. While The Motel Life never feels rushed, there’s no real buildup to the story. The film opens with Jerry’s hit-and-run accident and before long he is in hospital. From then until their escape, a lot of scenes appear to be there purely to flesh out the short 85-minute run time. 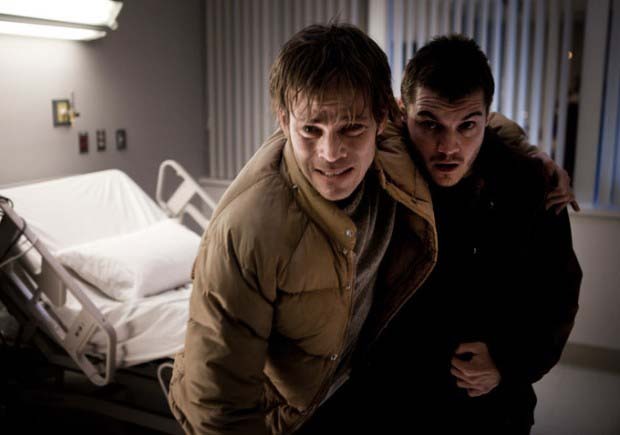 However, once the boys leave the hospital, the film really picks up and becomes much more hard-hitting with their relationship becoming increasingly profound. Final Words: A slow burner, The Motel Life is an emotional tale of what we do for those we love. Frank’s stories provide a heartfelt insight into the boys’ past and a reinforcement of Jerry’s innocence, bringing home their working class roots and how alone in the world they are. With no parents to guide them, the brothers have grown to be dependent solely on one another and, despite the fact Frank is much more able on his own, he refuses to leave Jerry behind, providing an honest insight into the meaning of true brotherly love. The Motel Life is in UK cinemas on 4 April 2014.